This story originally appeared on April 19, 2017. The Paraguayan War — sometimes referred to by South Americans as the War of the Triple Alliance or the Great War — pitted the armies of Paraguay against those of Argentina, Brazil and Uruguay. It was an incredibly lopsided contest. Paraguay had a population of roughly 500,000 people, while Brazil was home to 9 million, Argentina two million and Uruguay 250,000. For six years from 1864 to 1870, Paraguay remained isolated and under siege as it battled a vastly larger and better-equipped alliance. Even as far as wars go, it was a strange affair in many regards. There were rumors of intrigue involving a foreign mistress, cavalries armed with bamboo lances faced off against battalions of rifleman, one of the United States’ least remembered presidents became a national hero in another country, and the primarily belligerent suffered one of the highest casualty rates of any modern war. Perhaps the most bizarre aspect of the war is the fact that Paraguayan president Francisco Solano Lopez was the instigator, and that Argentina had no interest in becoming involved until Solano Lopez dragged them into it on the side of his enemies. Solano Lopez came to power upon the death of his father, Carlos Antonio López, in 1862. Though both men were elected to serve by the Paraguayan Congress, James Schofield Saeger suggests in Francisco Solano López and the Ruination of Paraguay: Honor and Egocentrism that they ruled as benevolent dictators who wielded strict control of the country’s government, military, and finances. During his father’s reign, Solano Lopez had served as vice president, minister of war and envoy to Europe during his father’s presidency. In Europe he observed the Crimean War first hand and attended École spéciale militaire de Saint-Cyr. His knowledge of warfare inspired Napoleon III to name him a Commander of the Order of the Legion of Honour. Solano Lopez’s experiences in Europe fanned a growing obsession with Napoleon Bonaparte. He began to entertain dreams of becoming something of a “Napoleon of South America.” With these ambitions in mind, he bought enough rifles and enough smoothbore flintlocks from European sources to supply “a large military force.” He also secured the purchase of the warship Tacuari from an England shipyard, sending the ship and firearms back home for the Paraguayan military. Solano Lopez also met Eliza Lynch, an Irish-born courtesan, while in Europe. She eventually returned to Paraguay with him. They had six children together and she, to a great extent, served as first lady during Solano Lopez’s rule even though the two never married. There were rumors that she further encouraged Solano Lopez’s militarism. By the Solano Lopez came to power, Paraguay was regarded as a financial and military powerhouse in the region. Argentina and Brazil were much larger, both geographically and in terms of population, but Brazil’s military was small and notoriously disorganized, and Paraguay had defeated Argentine-based Spanish forces to gain its independence 50 years earlier. This gave Lopez considerable confidence in his military’s superiority, which undoubtedly bolstered his latent expansionism. When in 1864 Brazil began backing a revolution in neighboring Uruguay, an ally of Paraguay, he decided to come to the defense of the embattled Uruguayan government. As David F. Marley explains in Wars of the Americas, Paraguay struck first, seizing the Brazilian steamship Marques de Olinda as it approached Paraguay’s capital of Asuncion on Nov. 13, 1864. This action violated a treaty that allowed for safe passage of merchant and military vessels of the regional “river states,” which included Brazil, and effectively cut off Brazilian river supply routes in the south. Solano Lopez followed the seizure of the Marques de Olinda with an invasion of Brazil’s Mato Grosso in December, sending 6,000 soldiers into the region. The Paraguayans met surprisingly stiff resistance from much smaller forces but still took several towns and forts. After these victories, things quickly took a turn for the worse for Solano Lopez and his armies. Paraguay could not conveniently reach certain areas of Uruguay to bolster that country’s defenses without passing through Argentina. The problem was, Argentina wanted nothing to do with the conflict and sought to remain neutral. When on Jan. 14, 1865 the Paraguayan government sent a letter to Argentine government requesting “the right to pass peacefully through the Province of Corrientes” for “the army destined to operate against the Empire of Brazil,” they were told no. “This the government of Paraguay has already done, invading and taking part of the Brazilian territory of Matto-Grosso [sic],” Mitre added. In February, more bad news came as the Brazilian-backed rebels in Uruguay gained control of the country. This effectively meant that Paraguay was now fighting both Brazil and Uruguay in order to restore the latter’s previous government. For some reason, these developments failed to dissuade Solano Lopez. Again demonstrating his audacity, he decided to send his army marching through Argentina anyway, and on March 23, 1865 the Paraguayan congress declared war on its neighbor to the south for good measure. 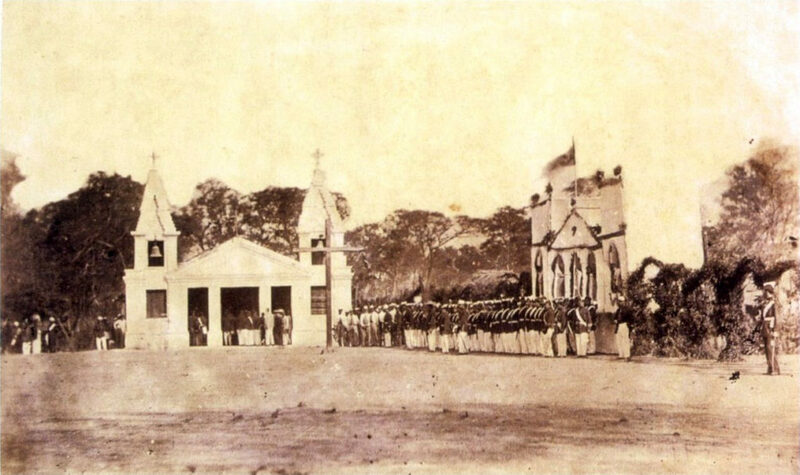 Paraguayan troops entered Argentina’s Corrientes Province on April 13, taking the province’s namesake capital city and seizing the warships 25 de Mayo and Gualeguay from its port. Even though Solano Lopez proved victorious in these initial skirmishes with Argentina, the attack was a colossal military blunder that would cost him dearly. This marked a major shift in the war. Wildly outnumbered, nearly completely surrounded geographically, and blockaded by river and sea, Paraguay began losing battles and also had trouble getting supplies and military equipment into the country. On the May 25, Solano Lopez’s forces suffered their first significant defeat of the war when a contingent of 5,200 Brazilians and Argentinians retook Corrientes from the 1,600 Paraguayans garrisoned there. The vulnerabilities of the Paraguayan navy soon became obvious as well. As Jerry W. Cooney explains in an essay in I Die with My Country: Perspectives on the Paraguayan War, 1864-1870, aside from the Tacuari and few ships seized from Argentina and Brazil in the early days of the conflict, the rest of Paraguayan fleet consisted of paddlewheels hastily outfitted for combat. Even the Tacuari, which was an advanced warship when it was purchased a decade earlier but remained unarmored, had fallen behind the times as naval developments quickly advanced and ironclads became common. 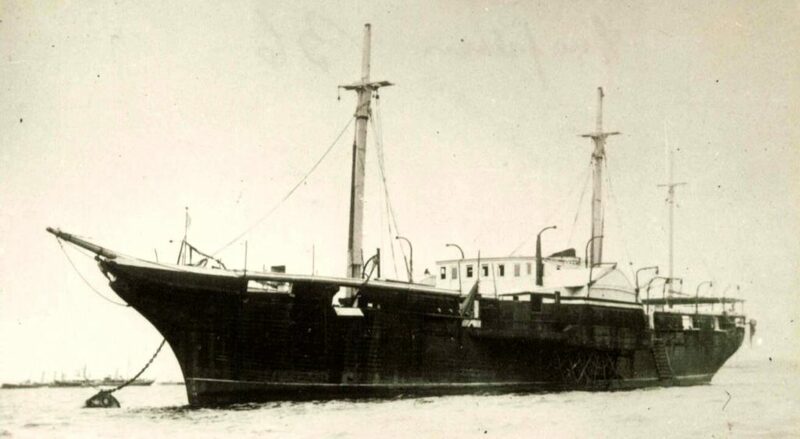 In June three Paraguayan steamers were sunk, six gunships were captured, and the flagship Tacuari was severely damaged in the naval battle of Riachuelo. This greatly hindered the navy’s combat capabilities, especially as Brazil’s ironclads such as the Rio de Janeiro, Brasil and Silvado, the latter a French-made ironclad that had originally been intended for sale to Paraguay, entered the fray. “For the remainder of the war the Paraguayan navy essentially acted as a supply fleet, and in that capacity it was quite useful,” Cooney wryly concludes. The war grew more and more logistically and technologically lopsided as weapons, ammunition, food, and medical supplies became increasingly hard to come by for the Paraguayan military. Paraguayan flintlocks lost in battle were replaced by swords and lances that faced newly acquired rifles wielded by Brazilian and Argentine forces. 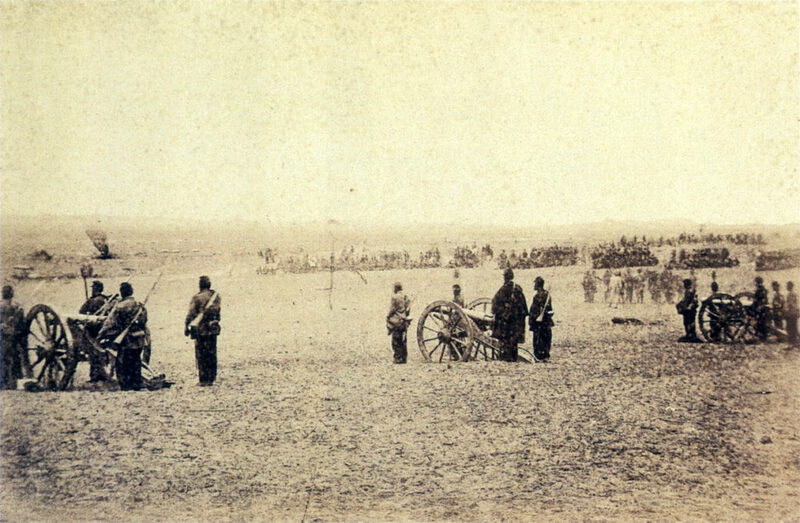 By December 1864, 6,000 Paraguayan men had already died in combat, another 30,000 troops were stationed at Cerro Leon, and an additional 34,000 were in training at bases and camps. On top of these men, Solano Lopez had also already called on militias to take up arms and head to the front. This meant that over half of Paraguay’s adult male population was committed to fighting in the war, creating an incredible social and economic strain on the entire country. Already suffering defeat at the hands of his adversaries, Solano Lopez’s armies soon endured an equally grave threat as disease swept through their camps. According to Cooney, 50,000 Paraguayan soldiers had died of smallpox, scurvy, edema and cholera by end of 1867. At the height of one cholera outbreak, 50 soldiers a day were dying. Solano Lopez responding to the worsening crisis by expanded the draft, lowering the age of required military duty from 16 to 13, and opening up his ranks to convicts and freedmen, and ordering the conscription of both private and state-owned slaves. The few able bodied men who remained in select government and business positions were eventually called to combat and replaced in their civilian capacities by those who had been too severely injured to continuing serving. The remaining civilian populations of entire towns were moved further from the fronts, the buildings and fields burned to leave nothing for the invaders. Inflation skyrocketed as the government printed more paper money. Hunger and poverty became common as the majority of staple foods were sent to the army. Despite the nearly total collapse of his army and his nation’s infrastructure, Solano Lopez still somehow fancied himself a conquering hero. For his birthday in 1867, he commissioned for himself “a crown of laurel leaves in gold,” a replica of the one famously worn by Napoleon in portraits. His population also remained surprisingly loyal to him, as he personally lead what now amounted to a guerilla campaign against his enemies until March 1870. On the first of that month, Brazilian forces caught up with Solano Lopez and the tattered remnants of his army at Cerro Corá along the Brazil-Paraguay border. They killed most of his remaining soldiers and officers, as well as Vice Pres. Domingo Francisco Sánchez. Wounded in battle, Solano Lopez and a few others escaped to the banks of the nearby Aquidabán River. Cornered there, he was offered a chance to surrender by his Brazilian pursuers. He refused and supposedly charged at the Brazilians with his sword, shouting, “I die with my country.” He was promptly killed, with some accounts saying he was shot but others saying he was speared to death. Solano Lopez’s 16-year-old son was also killed on the river bank as he tried to protect Lynch, his mother, from the Brazilians’ wrath. Lynch survived and supposedly “buried her lover with her bare hands” in a jungle grave. She forfeited her land and personal possessions and went into exile in Paris, where she died 16 years later at the age of 52. Although she was initially vilified both Brazilians and many Paraguay, she is now considered a national hero. The war resulted in over 400,000 deaths, nearly three quarters of them on the Paraguayan side. That accounted for roughly 60 percent of the country’s total population. The casualty rates were particularly high among Paraguay’s men, with some historians estimating that up to 90 percent of the country’s adult male population perished. The Triple Alliance established a triumvirate to rule Paraguay. Argentina initially wanted to divide Paraguay’s territory between itself and Brazil. However, Brazil wanted to leave some of Paraguay intact as a buffer between the two nations. Argentina eventually relented on that matter, but insisted on taking the large Gran Chaco region from Paraguay. Unable to come to a consensus on the matter, Paraguay and Argentina called on the United States to mediate. Pres. Rutherford B. Hayes sided with Paraguay, leaving Gran Choco as part of that country and thus making himself, like Lynch, another unlikely national hero there. One of Paraguay’s geographically largest states, Departamento de Presidente Hayes, is named for him, as is that state’s capital, Villa Hayes, and the Club Presidente Hayes soccer team based in Asuncion.